Chilling video has surfaced of a woman staring into her phone as she blunders into a faulty elevator, which first shuts on her leg and crushes it, the Daily Mail reported, and then severs it completely. 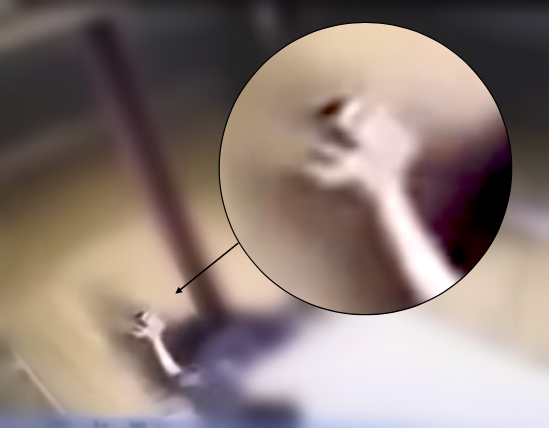 Security camera footage from inside an elevator in China shows a short-haired woman looking at her phone while walking toward the elevator that had just opened its doors. But the elevator appears to have a defect of some kind. Before the doors even close it starts to go up. The woman continues looking intently at her phone, it would appear, oblivious to the danger ahead. She falls into the elevator. The doors close on the woman’s foot and seem to crush it. As the elevator goes up between floors, the woman’s right leg is cut off just below the knee. 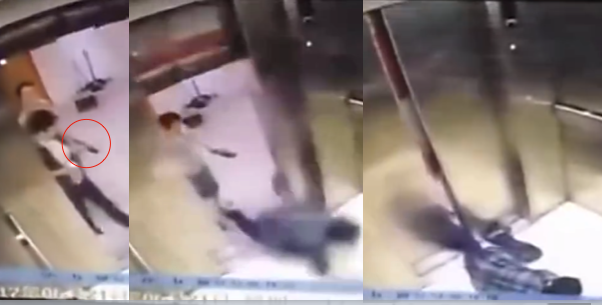 The Chinese news service iQIYI posted the horrifying video, which goes on to show the woman lying on the floor in shock. According to the Daily Mail, it has been confirmed that the incident took place on June 21, 2017, but the footage has only recently been released. The bone-chilling incident reportedly took place in the Conch Building in Zhongshan West Road, Shanghai, China. No further information is available about the woman’s recovery or whether she even survived.